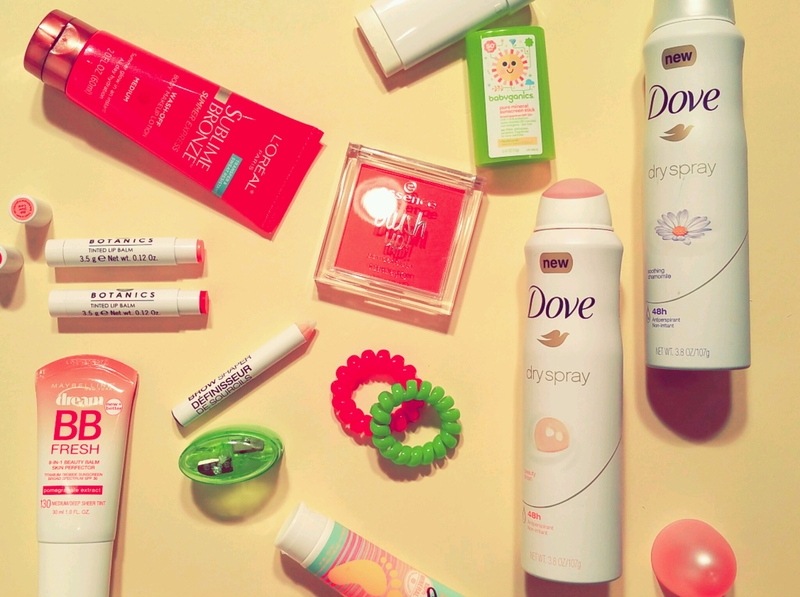 9 Summer Beauty Drugstore Finds – My Picks for Face, Lips, Body, Hair, and Sun Protection on the Cheap! It’s been dark and rainy almost all week here. When it’s this gloomy I find myself seeking out places with lots of bright overhead light, like Target and Walmart. 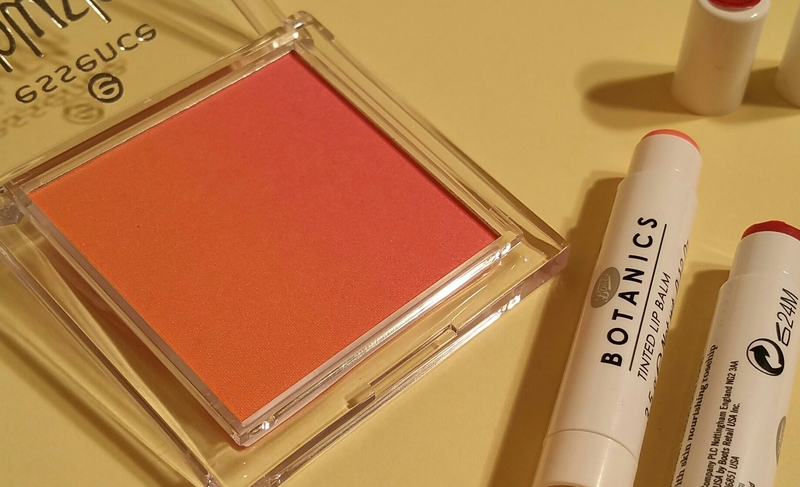 So over the course of the week I’ve made several trips to their well-lit beauty sections and amassed these summer-ready cosmetics at drugstore prices. Let me share my top picks with you! Clockwise outer row, starting at top left: L’Oreal Sublime Bronze, BabyGanics Mineral Sunscreen Stick, Dove Dry Spray Deodorant, Hang Ten Banana Sunscreen for Kids, Essence Sharpener, Maybelline Dream BB Fresh, Boots Botanics Tinted Lip Balm Sheer Pomegranate and Sheer Coral; Center: Essence Blush Up!, Remington Hair Ties, and Wet-N-Wild Brow Pencil in A Clear Conscience. All of this drugstore shopping started out legit: I went to Walmart for some deodorant, and sunscreen for the kids to keep in their school bags/cubbies. I wanted to get each of my boys a solid stick, and a tube or spray bottle, of mineral sunscreen. There I saw this interesting looking tube of kids’ mineral sunscreen, Hang Ten Banana Scented Mineral Kids SPF 50. It’s banana scented, obviously! I picked up a small sized tube to try it out for now. 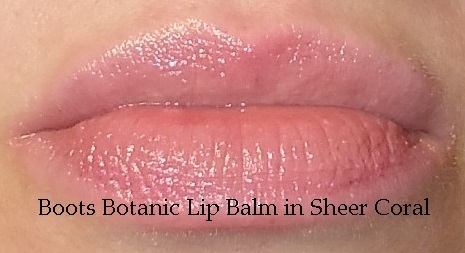 At home I squeezed some out and decided I love the scent! It’s also creamy and easy to spread as well. A winner in my book! For solid stick sunscreen I chose BabyGanics Pure Mineral Sunscreen Stick SPF 50. I’ve used BabyGanics in the past and it’s a brand I feel comfortable buying. So I didn’t hesitate when I saw a twin pack of BabyGanics’ solid sunscreen sticks for about $12.99. These are not dirt cheap, but they’re a better deal than buying a single stick for $9.99 or so from other brands. I like the simplicity of mineral sunscreen sticks. 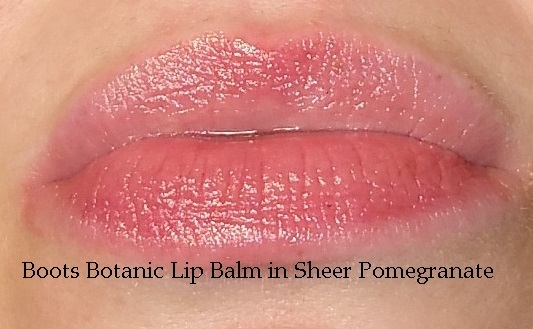 They remind me of lip balms and are great to use on the lips, around the eyes, or on the ears. 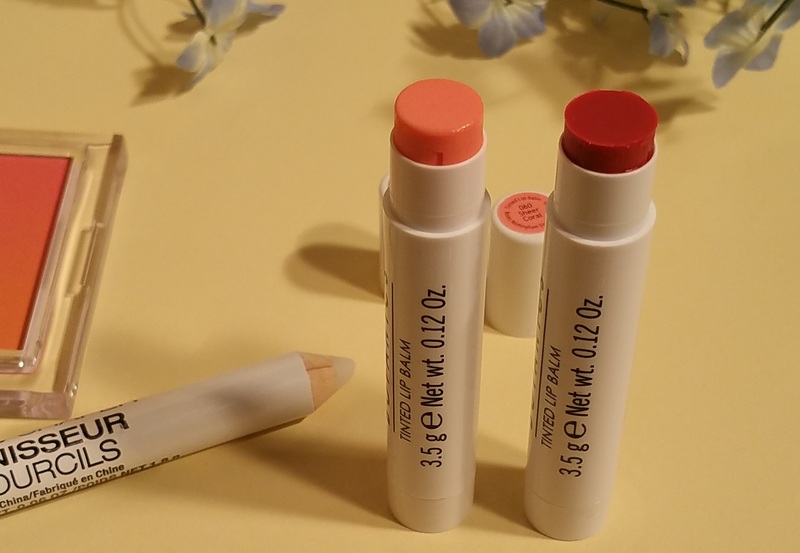 The fact that it’s in a solid stick means it’s much less messy and more portable than a tube of the liquid stuff. I always add a stick to my beach bag or tote bag for summer outings. Then I found something totally new to me, that belongs in both the mineral sunscreen and the “quick summer beauty” categories! 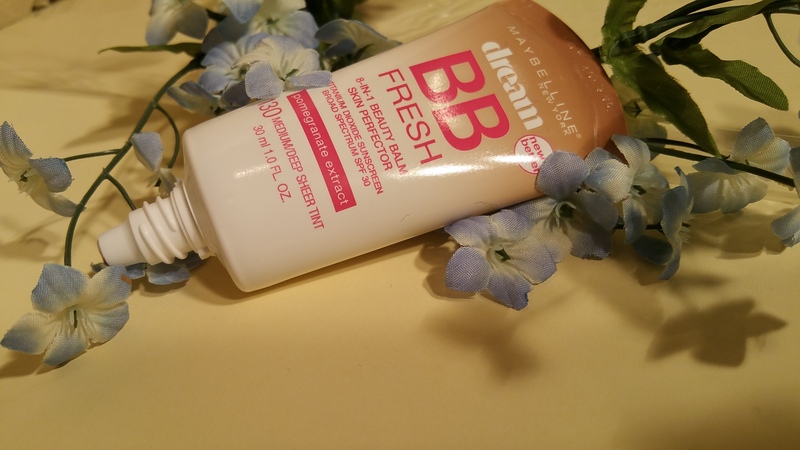 Maybelline Dream BB Fresh Titanium Dioxide SPF 30 – Medium/Deep Sheer Tint #130. As I was browsing the makeup aisle, the tube caught my eye because right on the front label it reads SPF “from titanium dioxide.” I did not need this at all. But I had a manufacturer’s coupon for a Maybelline face product, a Target Cartwheel deal, and a couple of Target beauty coupons that were burning holes in my pocket, and that made this item too cheap to pass up! The funny thing is that when I saw that this BB Cream contains mineral sunscreen I let out an audible “whoop whoop!” there in the aisle. Let me get this out of my system and yell (in writing): “good job, Maybelline!” — I hope you expand your other products to offer more mineral sunscreen to your wearers. I really applaud you offering choices! Well done! With those awesome Target beauty coupons and manufacturer’s coupons, I found even more new things I couldn’t resist. I picked up a sleek and simple brow wax pencil. For a low maintenance summer brow look, Wet N Wild Brow Shaper wax pencil – A Clear Conscience , is perfect. And at under $2, it’s downright cheap! 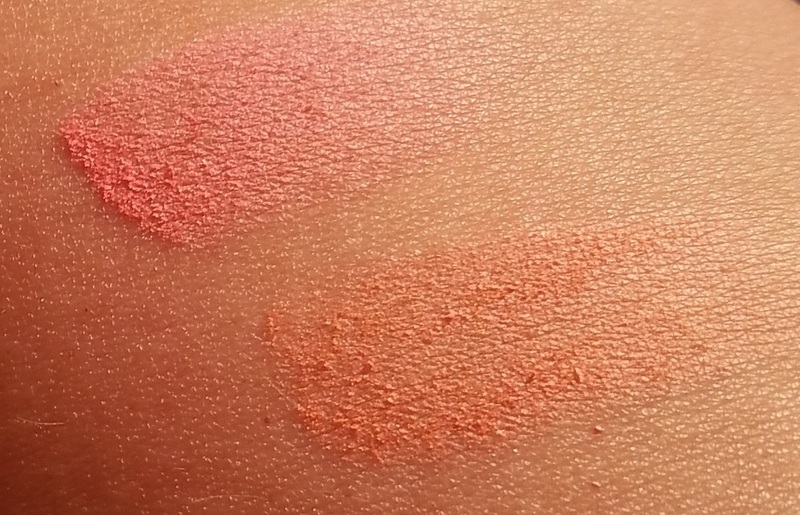 I also found a lip product that I hadn’t heard about yet, but which apparently is already popular based on the fact that the color selection was dwindling: Boots Botanicals Tinted Lip Balm. After a quick check of the ingredients and the price ($5.99! 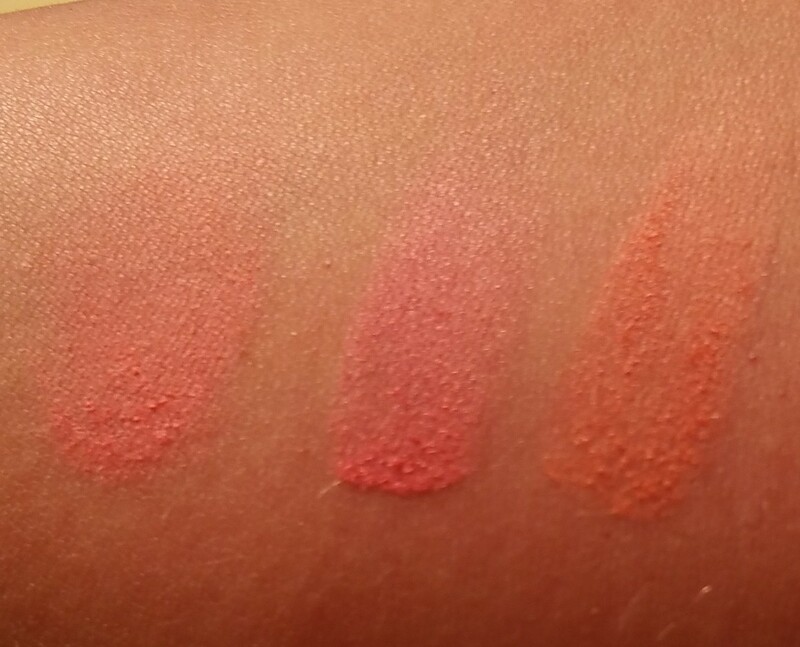 ),I picked up two on the spot, in Sheer Coral #060 and Sheer Pomegranate #040. 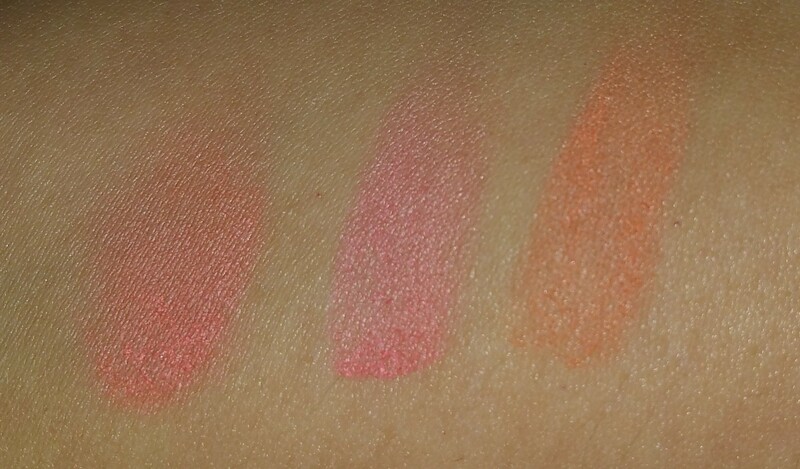 It’s also available in shades: Toffee, Guava, and Beech. Finally, I found a cool dupe for Invisibobble hair ties), called Remington Anywhere Hair bands! So much fun and cheap too. 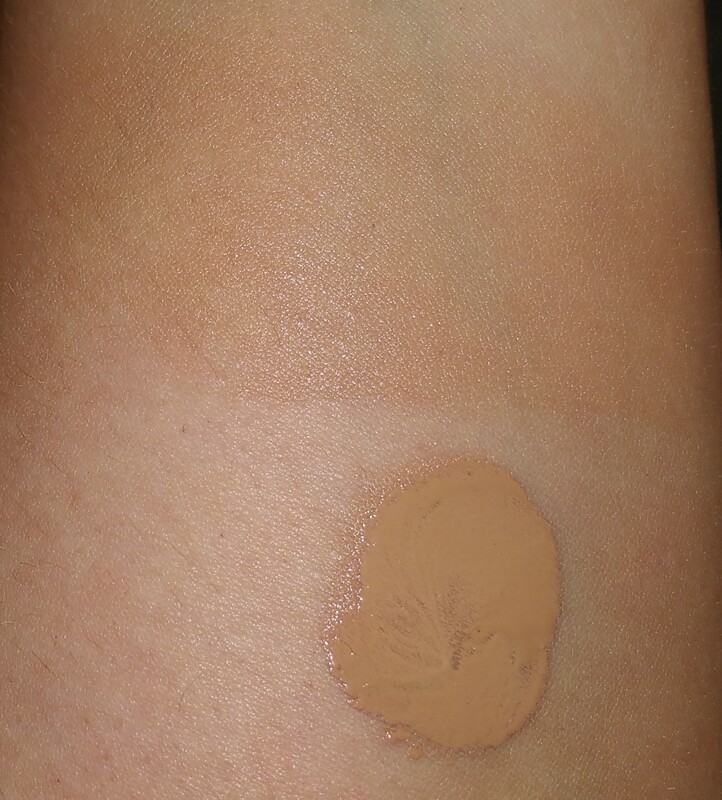 At Walmart I was surprised to see a new body bronzer/perfecting lotion from L’Oreal: L’Oreal Sublime Bronze Summer Express Wash-Off Body Makeup Lotion – Medium. I looked at a tube and decided this stuff may be worth a try. But I didn’t want to pay the $9.97 Walmart was asking for a 3.33 oz tube. Then I got lucky and price checked a smaller, 2 oz tube I found on an end-cap, and found out it was only $2.97! More than half the size of the ten dollar version, for a third of the price. Can’t beat it! So I bought it of course. 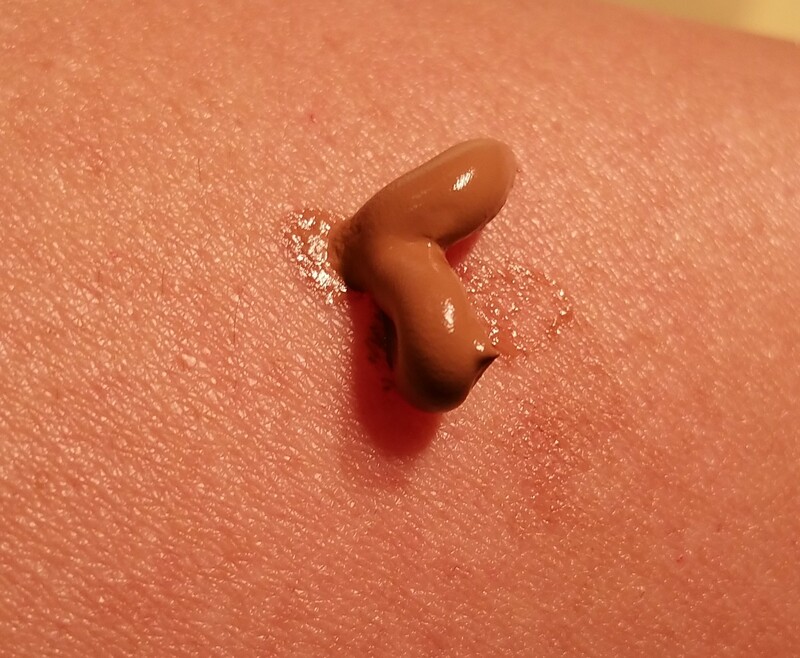 This is not a self-tanning lotion or a moisturizer (per se). 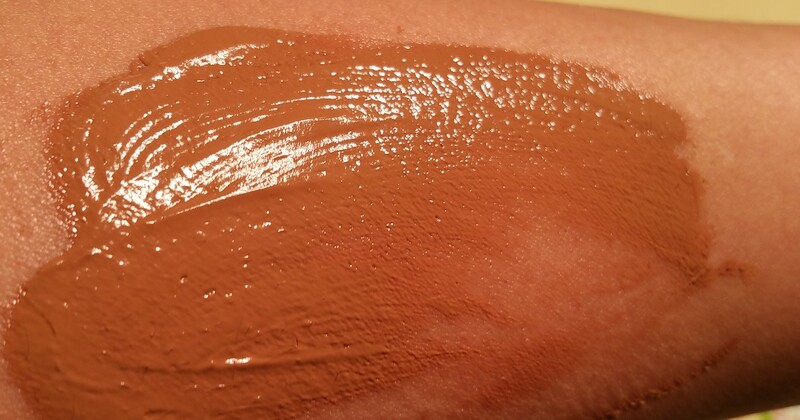 It’s just a wash off bronzer. 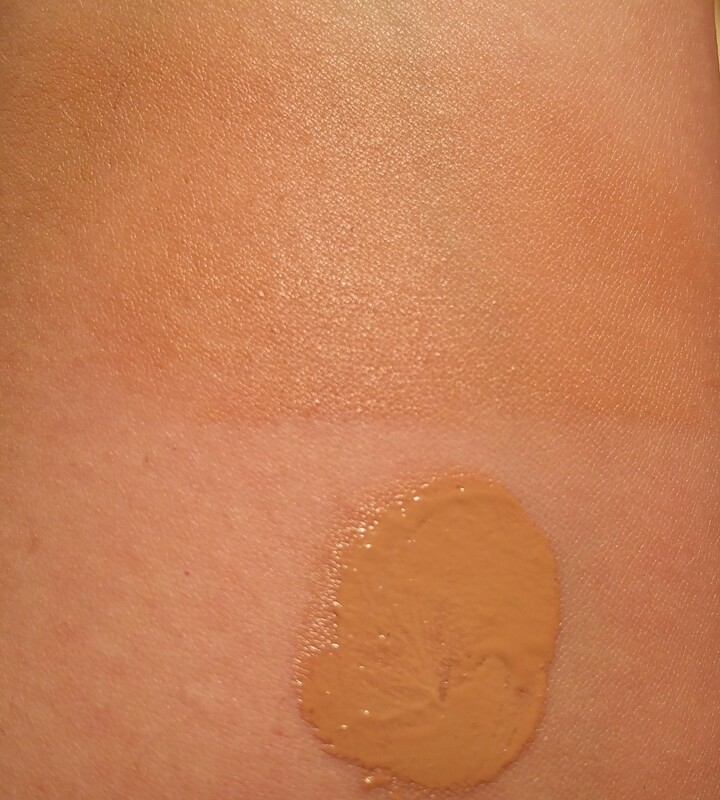 While it doesn’t offer the coverage of Sally Hansen Airbrush Legs, it does add a real looking bronze cast to the skin. It isn’t shimmery and doesn’t smell, which I appreciate. I did notice that the lotion doesn’t have the best staying power, so it’s not something I would wear with professional clothing, to the pool, or with anything light colored. But in a pinch this stuff may be handy- especially in the 2 oz size I picked up. I think it’s pretty cool that I found all these great things at Walmart and Target and for not a lot of cash.